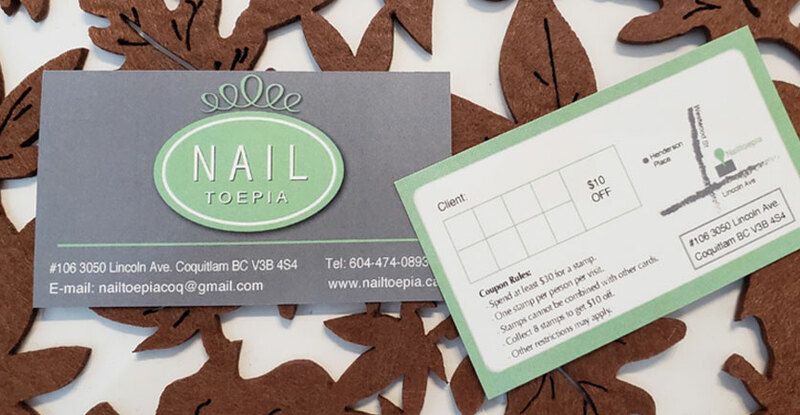 We offer stamp cards to our clients, where if you collect 8 stamps, you get $10 off on your next service. One stamp are given per person per visit, if the service that day was at least $30. 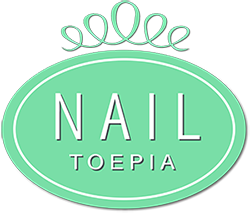 Nailtoepia’s gift cards are perfect for birthdays, anniversaries, graduation gifts, and for the holidays – or even out of the blue for someone you appreciate. You can select specific services or an amount value. 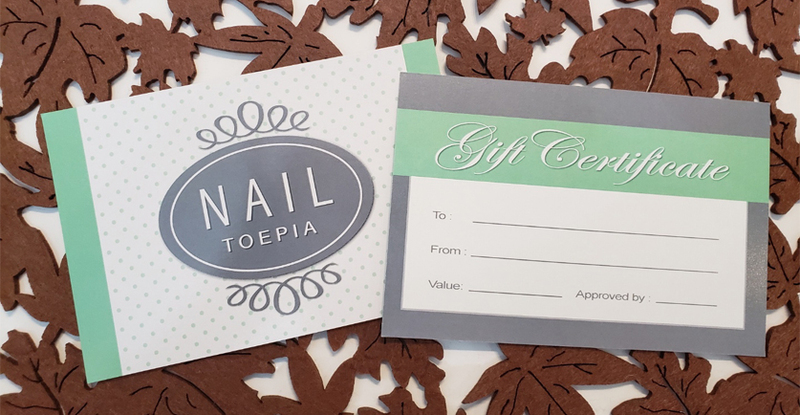 Come by the salon to purchase your gift card or if you have any questions!